Read STC’s Comments on the Leatherback Status Change Petition (pdf file). Leatherback sea turtles are ancient, giant reptiles. Named for their unique shells composed of thin rubbery skin, they can dive the deepest and travel the furthest among all seven sea turtle species on earth. Leatherbacks have traveled the globe for millions of years, but they face a number of mostly human-caused threats to their survival and recovery. In the petition, the group states that the Northwestern Atlantic leatherback population (including leatherbacks that nest in Florida, Costa Rica, and Panama) should be listed as “threatened” because it is “not currently at risk of extinction (i.e., endangered) due to its overall population size.” But the scientific evidence submitted with the petition did not take into account data from 2014 and forward that disputes this claim. 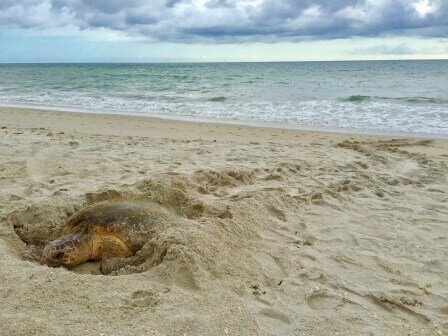 In Florida, leatherback nesting has decreased from 650 to just 200 nests since 2014, according to the Florida Fish and Wildlife Conservation Commission. In addition, over the last two decades, STC has documented a severe decline in leatherback nesting at Tortuguero, Costa Rica (see Figure 1). Furthermore, the nesting trend for this species at Chiriqui Beach, Panama, which had shown positive growth over a decade ago, actually shows a slight decline since 2005. The future of leatherback sea turtles is also at risk due to climate change and global warming. Following a global trend, south Florida sea turtle hatchlings are becoming increasingly female due to warmer-than-average sand temperatures. 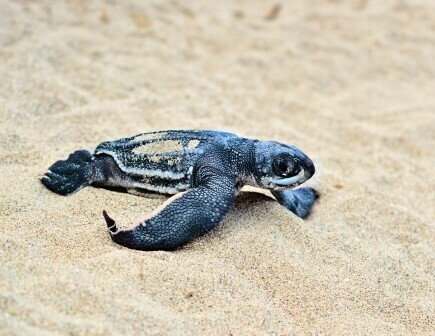 Hot sand is also causing turtle embryos to overheat in their nests at STC’s research sites in Panama, reducing the hatching success rate to less than 20 percent in many areas monitored by STC. 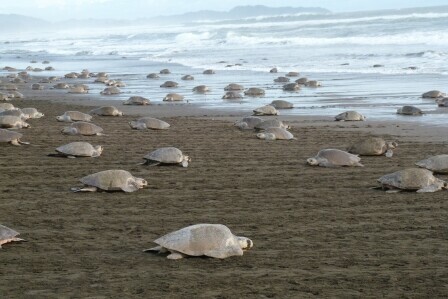 Figure 1: STC has documented a severe decline in leatherback nesting at Tortuguero, Costa Rica. If this population of leatherback sea turtles is downgraded to “threatened,” STC worries that commercial fisheries and other industries will take less care in reducing incidental “take,” or the accidental killing of leatherback sea turtles, and federal authorities will be less focused on the urgency with which this species needs protection. NOAA is accepting public comment on this petition. STC will be making formal comments based on our own scientific data; however, anyone interested in sharing their opinion on the topic may do so online by visiting this site: https://www.regulations.gov/document?D=NOAA-NMFS-2017-0147-0001. We hope STC members will ask the federal government to reject this petition and keep leatherback sea turtles listed as “endangered” so they benefit from full protection under the Endangered Species Act. Help STC Raise $40,000 on Giving Tuesday, November 28th! 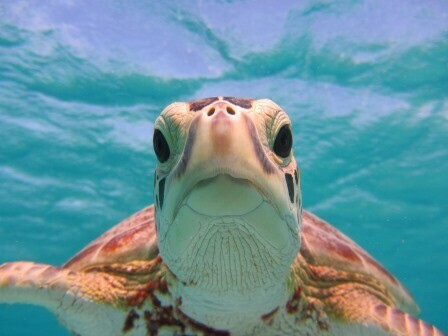 On November 28th, Sea Turtle Conservancy is participating in our 5th annual Giving Tuesday! Giving Tuesday, the Tuesday following Thanksgiving, Black Friday, and Cyber Monday, is a day of charitable giving around the world. This special holiday was created as a day where everyone is encouraged to contribute to non-profit organizations in their communities and around the world. #GivingTuesday provides one day to make a HUGE difference. For the past four years, STC has been very fortunate to receive incredible support from our friends and donors. Last #GivingTuesday, STC supporters raised over $40,000 in one day to support STC’s Florida InWater Project! In 2015, you helped raise nearly $30,000 for the Barrier Island Center’s education and community outreach programs. 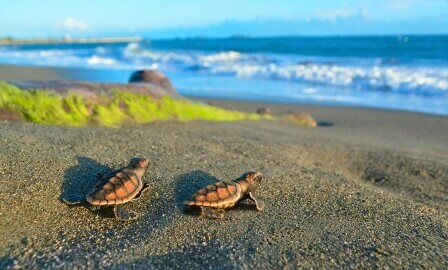 STC asks for your help this year to support something close to our hearts, the Tour de Turtles. Started in 2008 by STC, the Tour de Turtles is a fun, educational journey through the science, research and geography of sea turtle migration using satellite telemetry. With help from sponsors and partners, this event follows the marathon migration of sea turtles, representing different species, from their nesting beaches to their foraging grounds. Each year, sea turtles are tracked for approximately three months as they leave their respective nesting beaches and race to complete a turtle marathon. The Tour de Turtles competitors will swim with the goal of being the turtle to swim the furthest distance during the migration marathon. This fun, family-friendly event kicks off every July at the Barrier Island Center in Melbourne Beach, FL, with the live release of two satellite tagged sea turtles! Help STC reach its goal of $40,000 to support Tour de Turtles educational events and sea turtle outreach by donating to the cause in one of four ways: online at www.conserveturtles.org/ GivingTuesday, by calling 352-373-6441 mailing a check with “Giving Tuesday” in the subject line, or through our Facebook campaign. Facebook is matching all Giving Tuesday gifts up to $50,000 per nonprofit! All checks received with Giving Tuesday in the subject line, will count towards the campaign, even after November 28th, 2017. Funds raised will be matched one to one up to $20,000 by STC’s Board of Directors. Can we count you in for #GivingTuesday? Comments Off on Help STC Raise $40,000 on Giving Tuesday, November 28th! The Sea Turtle Grants Program (STGP), funded by the sale of Florida’s Helping Sea Turtles Survive specialty license plate, recently awarded $362,564.95 to 29 different projects benefiting Florida sea turtles as part of the 2017-2018 grant funding cycle. Loggerhead Marinelife Center: Promiscuity in Marine Turtles: Evolutionary Push for Population Stability? And the Winner of the 2016 Tour de Turtles Is…. So, with an end to Tour de Turtles 2016, we want to express our gratitude once again for all the sponsors and individuals who supported the race and further, those who continually support our efforts! Sea turtle conservation is such an important cause for our world and your support does not go unnoticed. See you next year for Tour de Turtles 2017! Comments Off on And the Winner of the 2016 Tour de Turtles Is…. 2017 Sea Turtle Calendar Contest Winners! Sea Turtle Conservancy (STC) would like to give a special congratulations to the winners of our 2017 Sea Turtle Scenes Calendar Contest! 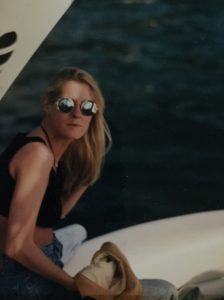 All of the photos were truly fantastic. Thank you to everyone who took the time to enter! The winning photographs will be featured in STC’s 2017 Sea Turtle Scenes Calendar, which will be available online in our gift shop sometime in November. Thank you to all of our participants who made this year’s selection exciting and especially difficult. We received HUNDREDS of submissions! If you missed out on this one, look out for the 2018 photography contest next year! Comments Off on 2017 Sea Turtle Calendar Contest Winners! 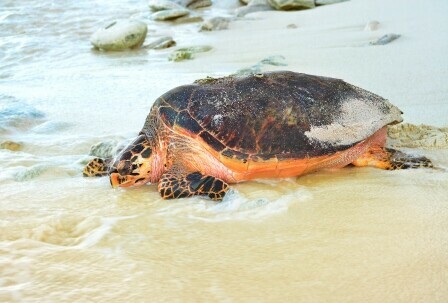 Sea Turtle Conservancy (STC) is excited to officially welcome our partners at DivinityLA to the Tour de Turtles marathon! For this year’s Tour de Turtles, DivinityLA sponsored a green turtle, who they named “Pebbles.” When deciding on a name for their turtle, DivinityLA was inspired by the importance of pebbles and sand in the turtles’ nesting and hatching process. To begin her migration marathon, Pebbles, a green turtle from Tortuguero, Costa Rica, was released on July 9, 2016 from STC’s John H. Phipps Biological Field Station in Tortuguero. Since the launch of their company in 2015, DivinityLA has donated over $17,000 to Sea Turtle Conservancy- a tremendous effort that should not go unrecognized! One dollar from every sea turtle bracelet purchased is donated to STC. Click here to purchase and support sea turtles! $1 from every sea turtle bracelet purchased is donated to STC. Click here to purchase and support sea turtles! And don’t forget to follow Pebbles on her marathon migration! You can view her satellite map online here.